I often keep a bag of peeled shrimp in the freezer as the starting point for a quick meal. 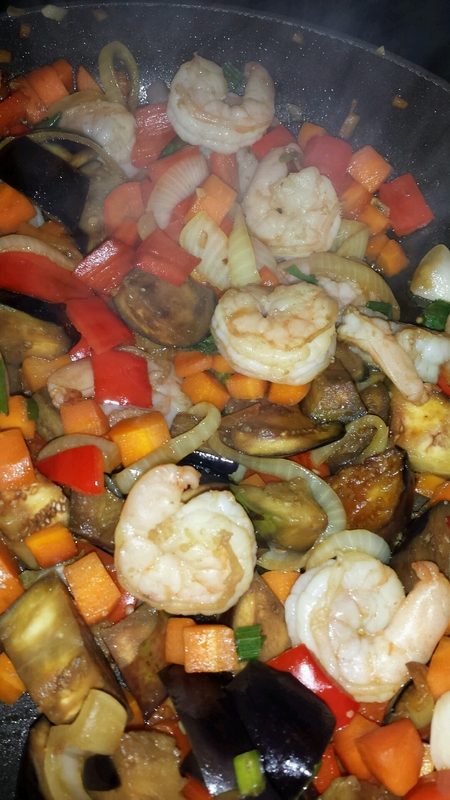 Here the shrimp were the minor protein in a hearty vegetable stir-fry. Veggies from the farm included eggplant, carrots, onion, and red pepper. 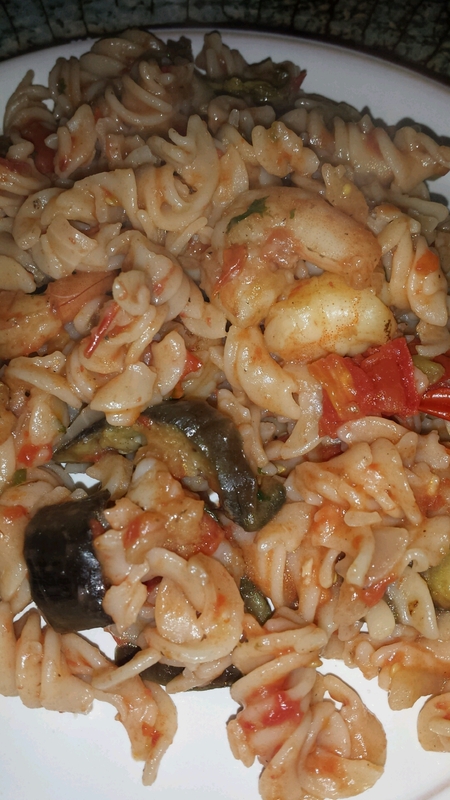 Instead of a heavy meat sauce, I dressed the pasta with shrimp, eggplant, zucchini, tomatoes, and a light tomato sauce. 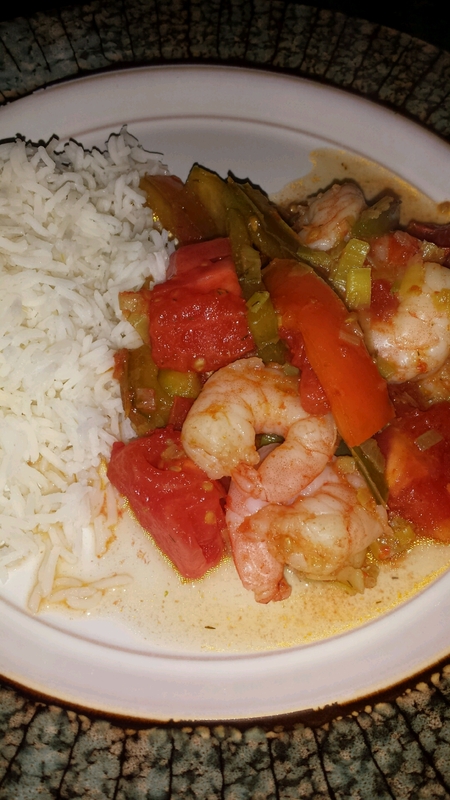 And a lighter shrimp stir-fry with leeks and tomatoes. What's your favorite shrimp dish? Those all look so delicious. I don't normally cook with shrimp at home, though I love to eat it when I go out. Now that I've seen your ideas, I think I want to try. Did you try any? I find that purchasing pre-peeled shrimp makes it easy to prepare.